"The documentary shows how three young women - Irish pro surfer Easkey, Iranian pro snowboarder Mona and Iranian diver Shalha are introducing a new sport in Iran: SURF. 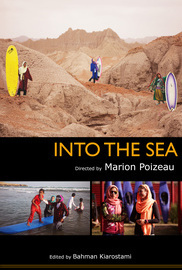 The documentary shows how three young women - Irish pro surfer Easkey, Iranian pro snowboarder Mona and Iranian diver Shalha are introducing a new sport in Iran: SURF. Through the eyes of these three main characters, the viewer experiences the journey from a unique and unusual perspective full of heart and emotion.